OK, I'm sure this isn't a GENIUS idea, but I just thought of it and I think it will save me some time. My classes like some of the ideas that I've used this year to make our notebooks more interactive - and actually, I've really liked them too. One thing I've really liked is I can preprint some of the notes and they can put them right in their notebooks where they are supposed to keep such things! One thing I have really NOT liked is the gluing! Who knew how fast those little glue sticks get used up??? Next year I will definitely have to ask each kid to bring their own - that will definitely help. So, to help solve this problem, I started thinking about stickers - how about if we just stick some things into their notebook? Of course this won't work for everything, but it did work for a topic we are currently working on in calculus...writing equations of tangent lines. It drives me nuts how many kids just REFUSE to learn this topic. 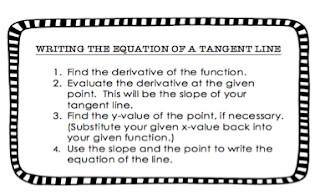 I've had kids tell me before, well, I knew I was going to have to find the equation of the tangent line, but I don't know how to do that, so I skipped that one. UGHHHH!! Way to drive me absolutely nuts - I mean we've done 10,000 equation of tangent line problems. So, last night I made STICKERS! These are formatted to fit on Avery labels 5163. I am going to have my students stick these into their notebooks. And every once in awhile, maybe I'll make a new sticker for something else I really want them to remember...like next time maybe the derivatives of trig functions. ETA: Another thing I just thought of - this would be a much easier place to add some color if you needed to - not as much color to print, but it would still look nice for each student. I'd like to show you something new that I've been working on...there are just a ton of materials out there for algebra one, but I've been noticing that there is not quite as much out there for geometry. So, as the school year goes along, I hope to continue to work on adding more material for people to use for their geometry classes. 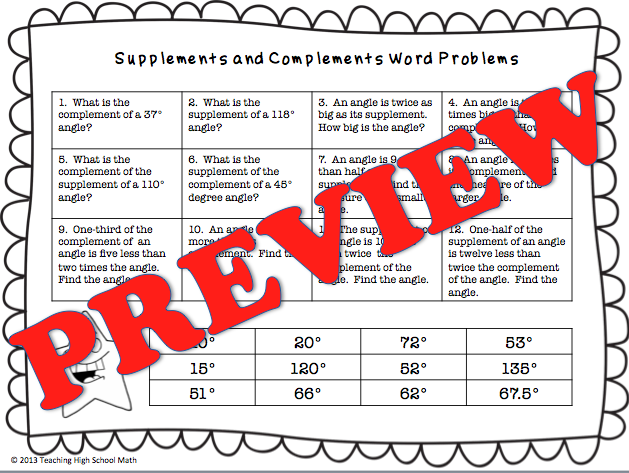 This last week, I finished my first Geometry Self-Checking Practice Worksheet on working with supplementary and complementary angles. 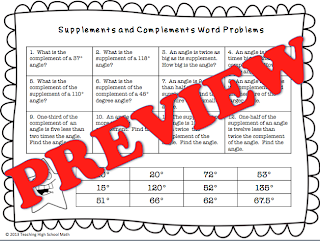 This worksheet gives 12 practice word problems that deal with supplements and complements. The great thing is that the answers to the 12 questions are given at the bottom of the page, although they are mixed up. I love that the students know that they are probably right if they get one of the answers at the bottom of the page. 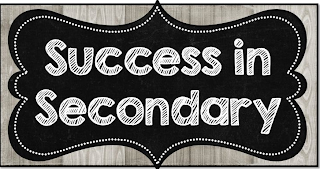 If you'd like to see this in my Teachers pay Teachers Store, please click here. Now, on to the linky party! Please feel free to link up to 3 products. I'd sure appreciate you leaving a comment and/following my page if you link up. 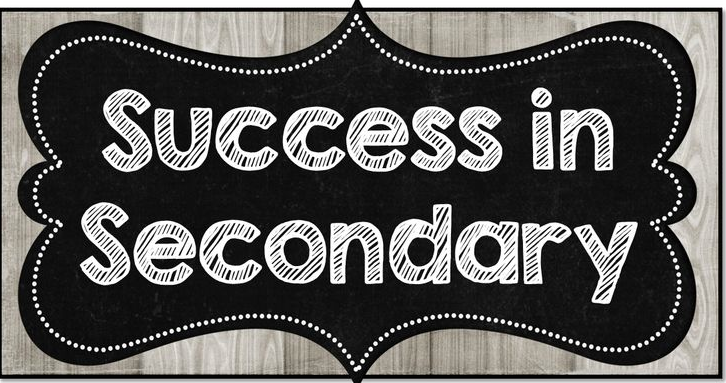 HINT: If you'd like a new free poster for your math classroom, check out my facebook page! 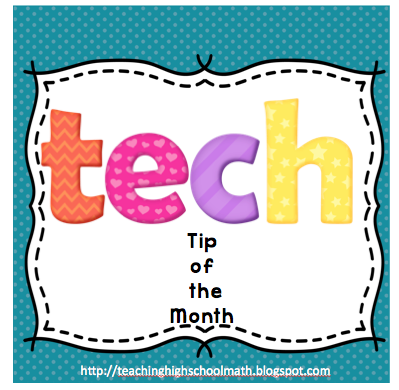 Welcome to this month's edition of Tech Tip of the Month. I hope to make this a monthly linky party on my blog - the first Friday of the month. I will blog about Tech Tips that I find, and I hope you will add your ideas from blog posts or from products that you have that use technology! 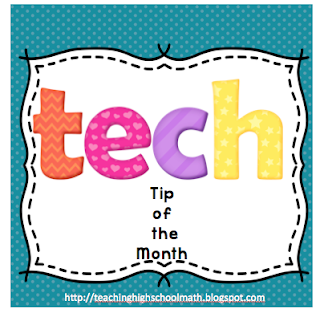 This month, my tech tip is about a app called JotNot. Have you ever heard of this handy little app? I heard about it from one of the teachers in my department. Although the pro version of this app is 99 cents, there is a lite version that is free. 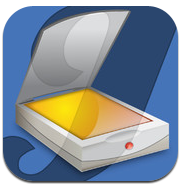 This app will allow you to turn your phone or iPad into a scanner! At first when I saw this app - I thought to myself, why would I need that - I can take a picture with my phone? 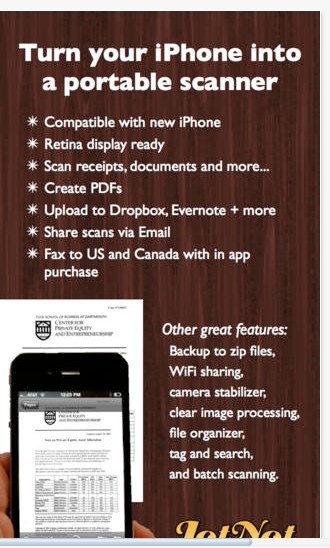 But, the beauty of this app is that you can turn your scan into a pdf (along with other file types). So, it can be handy to take a scan of notes that I wrote on the whiteboard and then print them out to give to students. Or, I can scan my handwritten solutions to homework problems and then post them, or print them out. 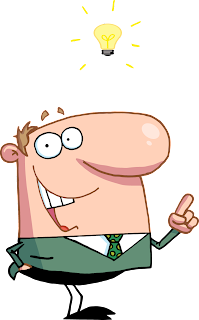 The information about the app even suggests that you can upload to dropbox or google docs! What is your favorite tech tip you blogged about or discovered? Either comment or add a link to this linky party! Tech Tip of the Month - Get Ready for a Linky! I decided to try giving the department at my school a Tech Tip of the Month since we are going to 1:1 iPads next year. Then I thought - hey! Let's have a Tech Tip of the Month linky party!